Autism is no longer considered a rare disease, and the Center for Disease Control now estimates that upwards of 730,000 children in the US struggle with this isolating brain disorder. New research is leading to greater understanding of and ability to treat the disorder at an earlier age. It is hoped that further genetic and imaging studies will lead to biologically based diagnostic techniques that could help speed detection and allow early, more effective intervention. Edited by two leaders in the field, this volume offers a current survey and synthesis of the most important findings of the neuroscience behind autism of the past 20 years. With chapters authored by experts in each topic, the volume explores etiology, neuropathology, imaging, and pathways/models. 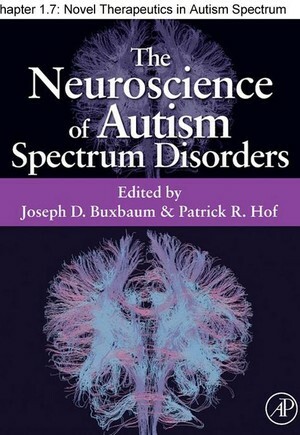 Offering a broad background of ASDs with a unique focus on neurobiology, the volume offers more than the others on the market with a strictly clinical focus or a single authored perspective that fails to offer expert, comprehensive coverage. Researchers and graduate students alike with an interest in developmental disorders and autism will benefit, as will autism specialists across psychology and medicine looking to expand their expertise.